​Kshitij ​​has ​secured​ patronages ​from​ organizations ​like​ UNESCO,​ SAYEN​, and CEE.​ It witnesses ​participants ​in ​thousands ​from ​different ​parts​ of ​the ​world.​ The ​previous ​edition ​of ​Kshitij has​ witnessed ​a total of 60,000 ​participants. 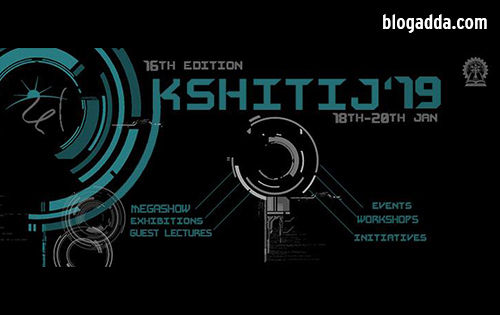 ​Kshitij ​gives​ away ​prizes​ worth ​45 ​lakhs. ​The ​​fest​ consists ​of​ 30 ​events ​spread​ across ​10​ genres. ​This ​include ​online, ​submission​ events​ as well​ as ​on ​the ​spot ​events.​ The ​flagship​ events​ were ​certified ​by ​famous ​organisations like ​IEEE, IMechE, ​ASME ​and ​consists ​of​ flagship events ​like ​robowars, embetronix, ​a ​business plan ​event ​and​ a ​hardware ​designing ​contest. ​The ​registration ​for ​participating​ in ​any ​of ​the events ​is ​non ​chargeable. 2. Dr. Janos Pach – Mathematician and Computer Scientist. 3. Dr. Rajendra Singh – Water Conservationist winner of Stockholm water prize. Megashows: Megashows are probably one of the most awaited facets of Kshitij. Last year, Kshitij has following Megashows. ​For​​ further ​details​ you ​can ​visit ​the ​page ​​www.ktj.in​.